Professional experience in Orthopedic Surgery in the Accident and Emergency Department. Experience in the Arthroscopic Surgery Unit. Articular prosthesis surgery. Arthroscopic surgery for minor and major joints, prosthesis surgery, sports surgery, traumatology and upper extremities surgery. Education MD, Malaga University (1986). Training at the Nuffield Hospital in the Department for Orthopaedic Surgery. University of Oxford. Nuffield Orthopaedic Centre 1996. Annecy shoulder surgery 2011 y 2013. La Charité, Berlín (2013). Area Consultant at the Costa del Sol Hospital (1994-2006). Head of Traumatology and Orthopaedic Surgery at “Helicópteros Sanitarios” (since 2000). 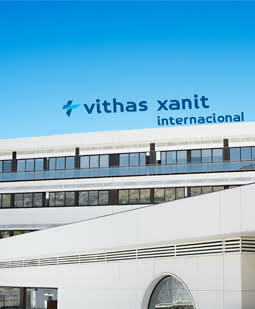 Head of Orthopaedic Surgery, Traumatology and Sports Medicine at Xanit International Hospital (since 2010). Consultant tutor at FREMAP Costa del Sol (since 2006). Memberships Member of the Spanish Society of Orthopaedic Surgery and Traumatology. Member of the Andalusian Society of Orthopaedic Surgery and Traumatology.